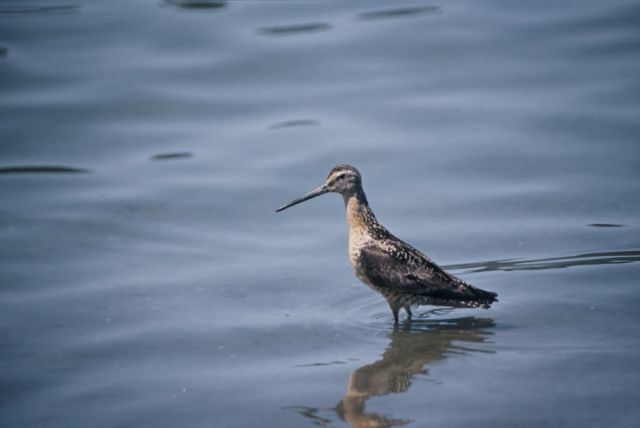 The two dowitchers differ slightly in color pattern and length of bill. and have different calls. The long-billed dowitcher is somewhat more partial to freshwater habitats and migrates southward later in the season, after most short-billed dowitchers have reached their wintering grounds.